The evolution of closed cell elastomeric foam, first developed in the early 1900s, has had a dramatic impact on the insulation industry. The most notable reason for this is its high moisture resistance, the result of its cellular structure—millions of tiny barriers that resist the migration of liquid. This characteristic not only minimizes the threats associated with moisture (such as mold), but it also ensures steady, long-term thermal performance. Liquid has a high heat transference capability; hence, wet insulation provides very little insulation at all. 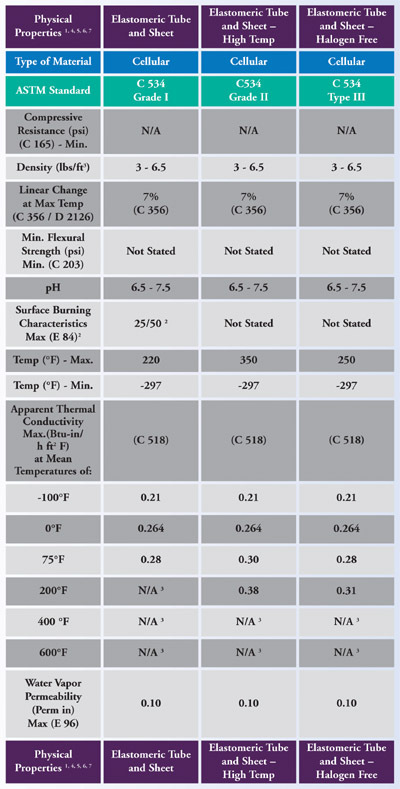 Closed cell elastomeric foam has strong water vapor permeability to resist moisture absorption, so neither its performance nor its durability is impaired by the presence of moisture in a heating, ventilating, and air-conditioning (HVAC), plumbing, or refrigeration system. Elastomeric foam insulation was developed in the 1950s. The introduction of this and other polymer-based materials marked an important industry transition from the use of natural materials, such as cork, to the use of synthetic materials and chemicals. The popularity of elastomeric insulation grew quickly, primarily because it eliminated the need for any type of vapor barrier to prevent the transference of moisture. As availability of the insulation in various forms (including sheets, rolls, and tubes) increased, so did its popularity as an insulator, especially in refrigeration piping and ductwork applications. It was a user-friendly alternative to other materials because it could be bonded reliably to a variety of surfaces, it was easy to install, and its performance could not be compromised by tears or punctures. Demand for elastomeric foam has increased sharply over the last 2 decades due to heightened awareness of indoor air quality (IAQ). Since elastomeric foam does not contain formaldehyde or fibers, and has very low volatile organic compounds (VOCs), it has found wide acceptance among IAQ advocates. Because of its non-particulating, smooth surface and moisture resistance, elastomeric foam does not support the growth of mold—arguably one of the most devastating IAQ problems that facilities face. These components are combined in a large mixer, typically in batches of 500 pounds or more. The mixture is then put through extruding equipment to form a particular profile or shape, typically either a round tube or a flat sheet. The profile is heated in an oven to a specific temperature, a process that causes the chemical foaming agent to change from a solid to a gas. When this occurs, thousands of tiny air pockets (cells)—all of which are connected—form. The profile is carefully cooled to ensure that these cells remain unbroken and intact, maintaining the material’s closed cell structure. It is then cut to size and packaged for shipment. Elastomeric foams are made without the use of chlorofluorocarbons (CFCs), hydrochlorofluorocarbons (HCFCs), or hydrofluorocarbons (HFCs), making them suitable for the toughest environmental specifications. laminated products for exterior applications where insulation would be subjected to ultraviolet (UV) exposure, weather, and physical abuse. Perhaps one of the most exciting advances in elastomeric foam is the recent availability of insulation with a built-in antimicrobial additive. Moisture resistance remains closed cell elastomeric foam insulation’s strongest selling point when compared to other insulating materials. This also makes it great for below ambient applications, where condensation is an issue. Solid thermal performance, user-friendly installation, durability, and appealing IAQ characteristics make it suitable for the full range of HVAC, refrigeration, and plumbing applications. The product will not absorb moisture, or trap dirt or debris that supports the growth of mold. It is a fiber-free, formaldehyde-free, low-VOC material, so it is a good candidate for those facilities that are especially concerned with IAQ.